The Costwolds' town of Stourton-on-the-Hill has its very own cat cafe. Resident cat Molly, and her kittens, live here in feline paradise, while owner Debbie serves the locals home-made goodies. But even in the most idyllic surroundings, things don't always go to plan . . . 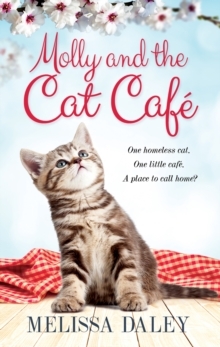 When Debbie's heartbroken sister Linda arrives at the cafe, Debbie insists she move in. But Linda is not alone, and the cats are devastated with the arrival of Linda's dog, Beau. Sadly, Beau's arrival is not the only bombshell - now Molly's home is also under threat when a rival cat moves in on her turf. With Christmas approaching, Molly is unsettled, barely roused by the promise of tinsel to play with. Fearing for her feline family she hopelessly stares out of the cafe window searching for an answer. Only a Christmas miracle could bring everyone together . 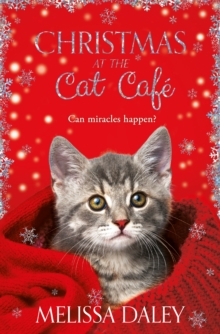 . . Christmas at the Cat Cafe is a wonderfully festive story, from the author of Molly and the Cat Cafe.